Hi! I'm Catherine Pratt and I'm the person behind this site. This site provides you everything you need to know about building your confidence and self esteem with articles, quotes, tips, tricks and strategies that actually work. I’m pretty sure the first words that were ever said to me as a child were, “You’re too sensitive” and trust me, they weren't saying it as a compliment. Even to this day, I still have people saying that to me. The difference is that now I know being sensitive is actually a sort of super power. Yes, a super power that only the rare have. But, with any super power, you need to know how to use it and how to control it. That makes all the difference. Did any of that advice ever work for you? Certainly didn’t for me. Who wants to feel like a fraud inside because you’re pretending to be confident when you know you’re not confident inside? Not me. Along the way I was also categorized as an HSP, or a Highly Sensitive Person, and an IFNJ on the Meyers Briggs personality test. Great, more labels which seemed to be taken as a weakness, not a valuable asset. But then I said before, it all changed when I discovered they're actually hugely valuable, if you know how to use it. But, all these labels and telling me to "toughen up" all made me feel like something was terribly wrong with me or that I was abnormal or broken. I felt completely misunderstood by the world. It also led to me hold back and to not only feel invisible but want to be invisible a lot of the time. When you lack confidence, something you'll come across all the time is one sided relationships. You know the ones I mean. The ones where you end up doing all the giving and the other person does all the taking. I had no idea why I kept ending up in these kind of relationships. I thought of myself as kind, honest, hard working, intelligent, and sweet so why couldn’t I find a decent relationship or even fit in with everyone else? Why was I always on the outside? I could get along great on the surface level with a lot of people but there always seemed to be a wall between me and others. I didn't understand it at all. In relationships, whenever they went wrong, like they always seemed to, I'd feel like it was my fault that things weren't working. If I could just be… something… like more understanding, less emotional, less demanding, etc then things would work. I thought it must be my fault because I was so deeply broken in some way. I'd be extremely loyal to anyone, even if they didn't deserve my loyalty, and I'd want to fix things. I'd stay in toxic relationships far too long because I didn't want to hurt the other person, because I thought the problem was with me, or I'd tell myself I hadn't tried hard enough. If I could just try harder then it would work. Unfortunately, that isn't how it worked out because of my lack of confidence. Wow, emotions are such a struggle when you lack confidence. You end up either stuffing them down so you can deny them and feel nothing or you’ll over ride them just to appease someone else. I also didn’t like how it felt to be emotional so that was another reason I’d stuff them down. I didn’t want my emotions to be in control. I wanted to maintain a tight grip on my emotions. I preferred to be logical over emotional. I also didn’t trust any of my emotions. For example, I’d feel so angry at someone but then when I tried to talk to them about it, they’d turn it around on me and I’d end up feeling like I was in the wrong and shouldn’t have been angry at them in the first place. It was all so terribly confusing and just plain painful. I'd also end up feeling terribly disappointed in them and myself. I learned early on to be a people pleaser. I was constantly seeking approval from everyone else. I gave and gave to people and never got much in return. I’d feel so hurt and upset whenever I’d realize I’d just been used by yet another person. Most of my friendships along the way seemed to end up with me being used for whatever I could offer and then I’d be tossed aside afterwards. I once helped a “friend” plan her entire wedding because her official bridesmaid was too busy. After the wedding, she suddenly wouldn’t answer my phone calls. She just ghosted me because her other friends were cooler. Or, I had so many friendships where I’d have to listen to them all the time and not once would they even ask how my day was. It just wasn’t important to them. So, I never got the respect I felt I deserved. And, the more I did for them, the more they expected, yet they didn't appreciate any of what I did. When you lack confidence, fear also becomes a huge aspect of your life. I know fear ruled my life in an unhealthy way. I’d make decisions based upon fear more than what I wanted. For example, I got a university degree because I feared if I didn’t that I’d never get a decent paying job. I also worried about letting people down if I didn’t do what they wanted. The other part of fear was that I could never say NO to anyone's request. It didn't matter what they asked for, I'd drop everything to help them in any way I could. My own priorities were always something I'd do after helping everyone else and of course I never had time for my own stuff. I was doing busy helping everyone else be successful. I could never say No to whatever someone wanted because I didn't want them to be angry at me or hurt their feelings or let them down in any way. But, in the end, all I'd feel was that they'd taken advantage of my "niceness". I felt like a badly used doormat. Along with fear, comes anxiety. Because my life was so controlled by fear, I struggled with constant anxiety. Making any decision would send me into fits of panic, no matter how big or small the decision was. And, even if I did make a decision, I’d then second guess myself the whole time. I also had no idea what I wanted for myself which was another source of anxiety. You’d think that’d be easy but it wasn’t because I lacked confidence. What if I made the wrong choice? In every single thing I did, I was doubting myself. It's a horrible way to live. Or if ever needed to express how I felt about something to someone it’d make me so anxious worrying about their reaction that I would end up saying nothing which would often make the situation far worse in the end. But, I would rather remain silent than risk upsetting someone else. The other weird thing was that I felt I could never really feel “joy” because I was so wrapped up in constant fear and being hyper aware of everything around me. I was always scanning everyone else tuning into their emotions and wanting to comfort them or fix whatever was happening in their life. But, it was all to the detriment of my own life. I was always molding myself to be what I thought others wanted me to be. So, I had no idea what I wanted for myself. Also, most of the time, I just didn't know what I wanted. People would ask me that and my brain would shut down. I couldn't come up with an answer. All I knew was that I didn't want the situation I was currently in. Part of not knowing what I wanted was due to always feeling like I needed to be what others wanted me to be. I also felt like I needed to do what others told me to do. They would know better than I would. I wanted to make others happy, not myself, so I could never connected with my own desires. If I ever did have anything I wanted to do with my life, I'd work on my own dreams after helping everyone else achieve their dream. So, that meant there never was any time left to work on the things that were most important to me. Everyone else was more important than me. My goals weren't important compared to others. Oh, wow, I felt so angry all the time. I was angry at how things had turned out for me and with the jobs I seemed to be stuck in. I never got promoted even though I worked harder than everyone else. People took the credit for my work. I’d also be frustrated because I didn’t know how to get out of this situation or why I seemed to be going around and around in the same circle never getting anywhere. Oh, my guilt. My constant companion for way too long. I'd struggle with feelings of guilt and never feel like I was “good enough” or done enough. My self esteem was pretty low. I wanted to be valued and appreciated and couldn’t understand why no one would treat me that way. I definitely couldn’t cope with conflict so that’s another reason why I’d stay way too long in toxic relationships. I’d want to fix the situation, not end it. I also don’t like “drama”. I’d just want things to be peaceful and for everyone to get along. I'd never stand up for myself. I wanted to be that caring, comforting, support system to the other person even if that meant hurting myself. I wanted to “save” and “rescue” other people. I'd sacrifice myself for someone or something (an ideal, animals, etc.). I'd reject all my own wants and needs in order to make any relationship work. I learned the hard way that rejecting yourself will only work for so long though and you'll end up either getting physically ill or having a breakdown in some other way. I had such high expectations of myself. I’d have complete understanding of others if they couldn’t achieve something perfectly but I’d beat myself up for not being good enough if I couldn’t achieve perfection myself. Or if I hadn't handled a situation perfectly, I'd replay it over and over in my head, wishing I'd said something else and beating myself up for not doing it "right". I never thought of myself as being “better than” someone else but I definitely held myself up to much higher standards. And even if I ever was successful at something, I’d have a hard time even telling something else about it. I couldn’t be proud of my own accomplishments. Yes! A lack of confidence affects every aspect of your life. So, Wow, What A Lot Of Baggage Comes Along With a Lack of Confidence. You're probably no where near the mess I was. Reading the above over, it's amazing I was able to leave the house in the morning. I thought maybe if I could figure out this mysterious thing called “confidence” which everyone else seemed to have and what I wanted then I’d no longer feel so out of place all the time. So, I set out to discover every single thing I could about confidence because I felt like there had to be more to life than the one I was living. But no matter what I did, I always felt like “something” was standing in my way. I couldn’t figure out what that “something” was but I’d try and try and try and just didn’t seem to get anywhere. 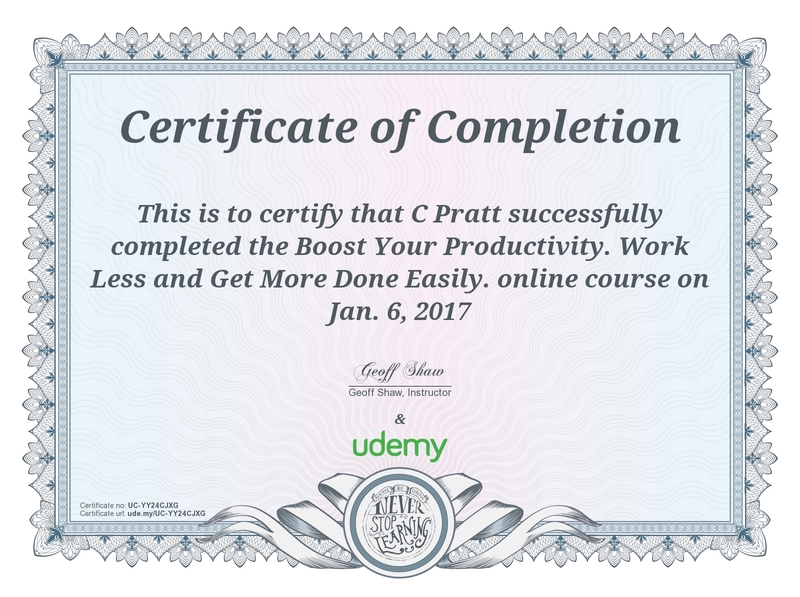 I’ve taken course after course on not just "how to be confident" but also everything from shyness to assertiveness to achieving goals to negotiation to conflict resolution to improving self esteem to coping with anxiety to even basic how to be happy courses, all in the hopes of figuring out this mystery of confidence from every single angle. I've also researched various philosophies like Stoicism which many great leaders practice but it's also a great way of training your mind to help you rather than hinder you. And, even after all I've learned, I’m still constantly reading every book I can find on confidence. Let me give you a quick tip here on confidence before I continue on. One of the secrets to confidence is becoming curious about the world around you and exploring everything that interests you. Always questioning, always learning, always growing, that's what builds a great deal of confidence. Is Your Biggest Challenge: figuring out the “something” that seems to be stopping you from living your authentic life? You can’t ever be your real self? Your relationships don’t work in a satisfying way? You don’t seem to fit in anywhere? Why do you keep ending up in relationships where you do all the giving and the other person does all the taking? You want to know how you can “fix” things or get along with the narcissist you're in a relationship with. You want to know how to fix yourself because you think you're broken or there’s something wrong with you and that’s why nothing is working for you. Does this sound like you? Then you’re in the right place. You’re at a point in your life where you’re willing to be open to new ideas and trying new ways of thinking. You’re beyond blaming others for your circumstances. All you want is solutions that work. The first solution I’m offering you is to show you that you’re not broken. You’re anything but broken. You have incredibly valuable gifts you just haven’t figured out how to use to your advantage yet. I’m also providing you with the solutions to finally understand yourself on a deep level. Once you understand why you act and react the way you do then you have the ability to choose how you want to respond to something. I’m giving you these solutions so can finally let go of the self-imposed limitations you learned growing up. It’ll also allow you to finally believe in yourself so you’re no longer stuck but also don’t end up in the dreaded narcissistic relationship. Narcissists target the sensitive people who lack confidence. Self-confidence isn’t just “be confident” or “mind over matter” which is what I always heard along the way. A lot of other confidence courses make it sound like it’s your fault if you can’t just buck up and believe in yourself and stop caring what others think of you. But, there are definite concepts like validation that need to be learned along the way to truly get past not believing in one’s self and understanding why you act and react the way you do. Sometimes the problem is due to being highly sensitive growing up in an environment where your emotional needs were not met. You could have very “nice” parents but if your parents didn’t meet your emotional needs then you'll still be in this constant anxious state always looking for someone to validate you. After you learn some basic concepts like validation and emotional needs then you can move on to learn some more skills to develop an unshakeable, inner self-confidence in yourself so can feel at peace inside but are also finally able to make decisions and move confidently forward in your life. This means learning to feel comfortable feeling uncomfortable (it's not so bad once you learn awareness), dealing with anxiety, learning to say no, learning how to deal with conflict in a win-win way. You can also learn who is emotionally mature and who is emotionally immature and not beat yourself up for not being able to have the type of relationship you crave with an emotionally immature person. I'm working on different ways to provide this information. Mostly articles for now, a few videos. But, then I may move on to online courses. Why Am I Unique To Offer This? Most of the confidence information out there is written by extroverts who really have no idea what it's like to suffer from a deep lack of confidence. I know what it means to lack confidence in every fiber of your being. I've been there. I've done that. I hated it. And, yes, I've overcome it. Yes, I still struggle with it sometimes but that's part of the process. It's a never ending journey to learn more about yourself. That's where the real power lies. But, trust me, I know what it means to lack confidence. I had to become an expert on this just so I could actually function. I've also tried out every technique I've learned in my own life. I know what really works and what just "sounds good". The solution for the extroverts might be to just "think confidence" and that's fine. It didn't work for me so that high level info that I saw repeated all over the web just wasn't the solution. And, if you're a sensitive person like me, you don't necessarily want to be the life of the party which is what most confidence information seems to assume. You just want to feel comfortable at the party and also feel like you belong and that people will listen to you because they value you and appreciate you. Isn't that what life is really all about? Being valued and appreciated by those you interact with? Very little of the confidence information I found was unique and I think my site is different from that standpoint. Maybe also because I’ve finally figured out a lot of the pieces after decades of trying to understand this myself. I can definitely empathize with how most of the techniques out there really don’t work because they haven’t addressed the underlying issues. You can’t “just be confident” if you don’t understand why you’re not. And, I've finally been able to get to a place where I feel at peace within myself and who I am. That's what I want to share with you. Because confidence is about learning skills. Not just "being" confident. The valuable part of creating a tool box of skills means that you're not just going to be confident for one situation, you're going to be able to use your tools to be confident in any situation. That's huge! The other great news is that it means it's totally something you can do if someone tells you what you need to know and doesn't just expect you to suddenly "be confident". I've been taking a lot of new training recently and I've just got my latest certificate in The Rewind Therapy. I'm excited to share information on this therapy with you in upcoming posts. 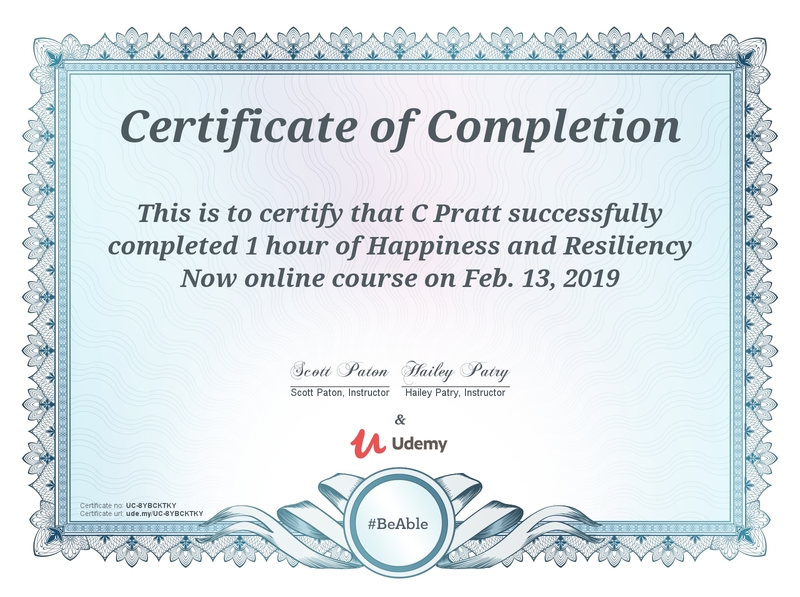 I'm also currently working on completing a number of other courses related to confidence including, "How to Lift Low Self Esteem", "Confidence Trainer", "Hypnotherapy", and will have even more useful information to share soon. I also have a degree in Communications which not only helps me to present the info to you, communication is one of the hardest things humans seem to deal with. There's always so much more to learn about communication. 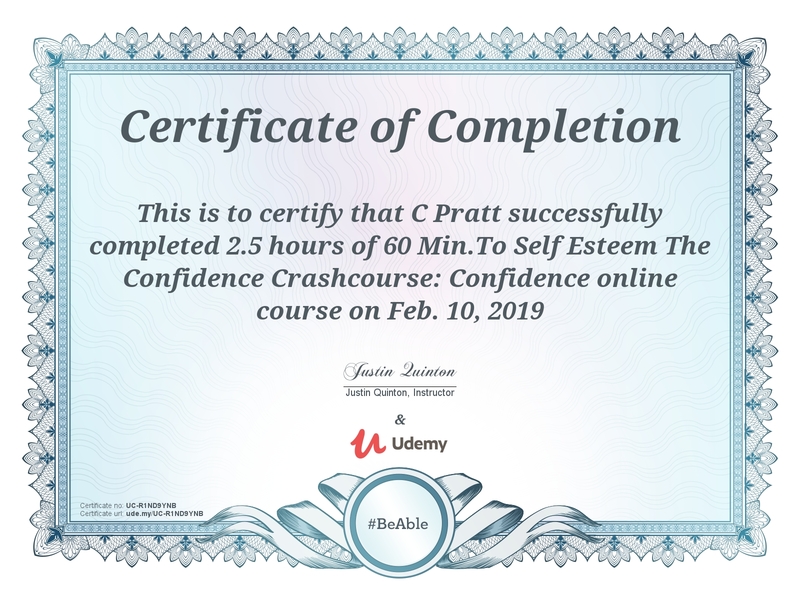 I'm constantly taking courses in the confidence and self-esteem field to help me gain even more knowledge to share with you to improve your own self-confidence. Just a few of the numerous courses I've taken. 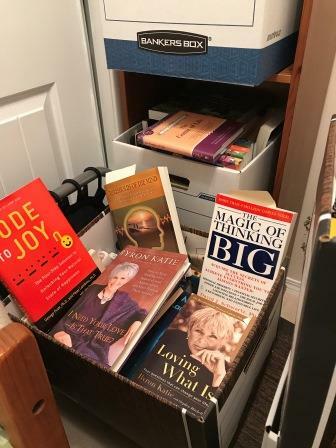 I've got boxes and boxes of books about confidence because they won't all fit on the book shelves. I then switched to a Kindle but even with that I had to get a new one because the first one was bogged down with so many books on it. So, as you can see, I've spent a lot of time, money, and energy on learning everything I can about confidence and I now want to share that information with you. For now, the best way to keep in touch with me is to sign up for my newsletter or follow my Instagram or Pinterest feeds. I'm not sending out regular newsletters yet. As you see below, I'm working on changes to this site and I'm also looking at creating some online courses, if there's enough interest (let me know!). But, the journey begins to spread the joy of confidence in greater ways. It truly is life-changing and you deserve to finally take control of your super power. The time has come for me to overhaul this site yet again. I created this site back on July 1, 2005 which is at least a couple of lifetimes ago in internet years. Back in 2005, Google was still a new kid on the block having only been around since 1998. Blogging was a new concept. Allowing people to comment on articles was a radical new idea. There was no Twitter, no Pinterest, no LinkedIn, no Instagram. No social media at all actually. There weren’t any iPhones or Kindles or even tablets. Yes, the world has changed dramatically since 2005. It’s now hard to even remember what we did prior to having all these things at our fingertips. How did we spend our time when we didn’t have the internet to surf and do all our daily life things like online banking, people to “follow” or even have companies like Netflix to provide us instant access to entertainment? With so many changes, it seemed like it was time for my site to change with the times as well. I'd had the same look since 2005 and the look of web sites has changed dramatically since then. It was time for a renovation so my web site is now going through a huge transformation. I tried a new look in 2015 but it still wasn't right. It was a step in the right direction but it still needed more work. Another brand new look was launched in 2016 with a new header and new colors. And, then in 2018, yet another new template was implemented. The progress of my site's makeover is very similar to what we all go through. We try something new, see if it works, learn some new lessons, try something else, and just keep improving ourselves a little more every day. That's partly what makes life so great. We have the opportunity to every day improve ourselves just a little more. Part of improving ourselves is opening our minds to new ideas and ways of seeing the world. It's something that makes a dramatic difference inside but it's not always obvious to others on the outside and again my site is the same way. There's a ton happening behind the scenes which won't be as instantly obvious as the new header and colors. Still important to do though. There’s hundreds of pages for me to go through and it's a slow process. I want to take my time doing it as I’m looking at it as a great opportunity to take a step back and consider what new directions I want to take this site. I also need to decide how much of my site I should overhaul and make decisions like should I change its structure or maybe start to branch out in different topic areas? In some ways, I like its simple look in that it’s a reminder of how much things have changed yet still remain the same. How do I fit in this world? How do I get comfortable in my own skin? How do I get along with this person that’s driving me crazy? Probably no matter how much the world changes, we'll always have questions like this. No matter what technology is available, each one of us needs to go through a journey of self exploration. Figuring out who we are, why we act and react the way we do, how do we get along with others, what’s our purpose in life, how do we achieve our dreams, and even how do we figure out what we really do want from this life? Those things will never change. Learning about yourself and gaining that deep awareness of who you really are is the greatest journey you’ll ever take. And, that’s really how you develop your self confidence. You discover everything you can about yourself. So, my hope is that even while my site is going through a metamorphosis behind the scenes, it can still help you to have an “Aha” moment or two on your journey of self discovery. I'm always thrilled when people like my articles enough to share them with others but please, Do NOT copy entire articles and post them on forums, blogs, or other web sites. If you'd like to share an article, just post a link to the page. Thank you. I very much appreciate that.